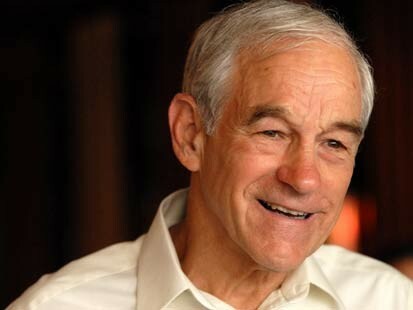 Ron Paul is often chided by his Republican opponents for his extreme views on American foreign policy. His calls for ending all foreign wars and shutting hundreds of military bases across the globe have drawn howls from his GOP rivals, who have labeled the moves irresponsible and naïve. His campaign pledge of cutting all foreign aid and withdrawing U.S. participation in the World Trade Organization and the United Nations has been at odds with even the most conservative members of his own party. Yet as voting day in Iowa and New Hampshire draws near, Paul, the Congressman from Texas, is finding support for his non-interventionist positions from a growing number of foreign policy experts. “He’s attacking our rich lazy friends, why is that not more popular,” said Harvey Sapolsky, emeritus professor of public policy and organization at MIT. He backs Paul’s calls for reducing America’s military budget, arguing that much of it is used to defend wealthy nations’ security. A huge, Cold War-era global presence — with hundreds of overseas military bases — isn’t necessary, now that the Soviet threat is over and the collapse of communism, Sapolsky said. “It’s not in America’s interest,” said Sapolsky, who added that despite the drumbeat in the media over the fear of terrorism, America is the safest it has ever been in its history. Christopher Preble, vice president for defense and foreign policy studies at the Cato Institute, is also another foreign policy expert who agrees that the United States is extraordinarily secure due to its geography and nuclear weapons, and doesn’t need a huge global presence. He also argued that the United States’ military is being used in overseas conflicts with little or no national interest, specifically pointing to the U.S. invasion of Iraq. Preble gave Paul credit for being one of the few outspoken critics of the 2003 invasion of Iraq.